You shouldn’t feel guilty all the time – you’ve done nothing to be ashamed of. I feel so guilty about forgetting her birthday. She must have done something wrong, because she’s looking so guilty. He makes a terrible mess when he’s cooking. Jem’s house is always in a mess. Go and clean up that mess in the kitchen. They left the kitchen a mess. Try not to make a mess because I’ve been cleaning. His papers were in a terrible mess. Your room is a mess; please pick up your toys. ‘What a mess!’ she said, looking at the kitchen. I scattered some grain on the floor of the hen house. The children had scattered toys all over the floor. I scattered grass seed all over the lawn. He’ll be in the doghouse after this! 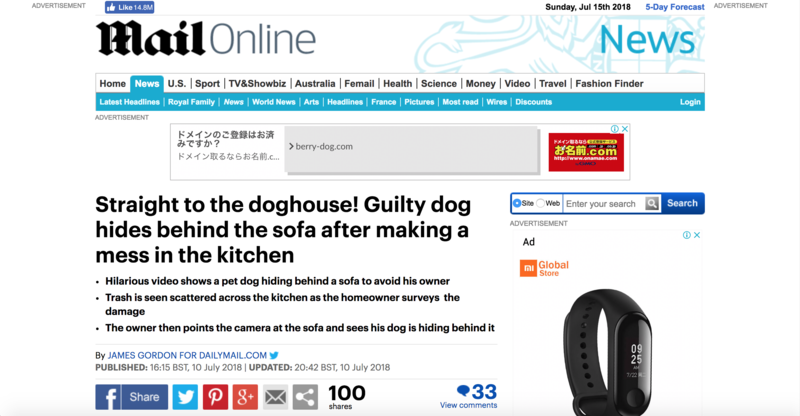 A naughty dog created quite the mess in his owner’s kitchen while he was out and clearly didn’t want to own up to it. 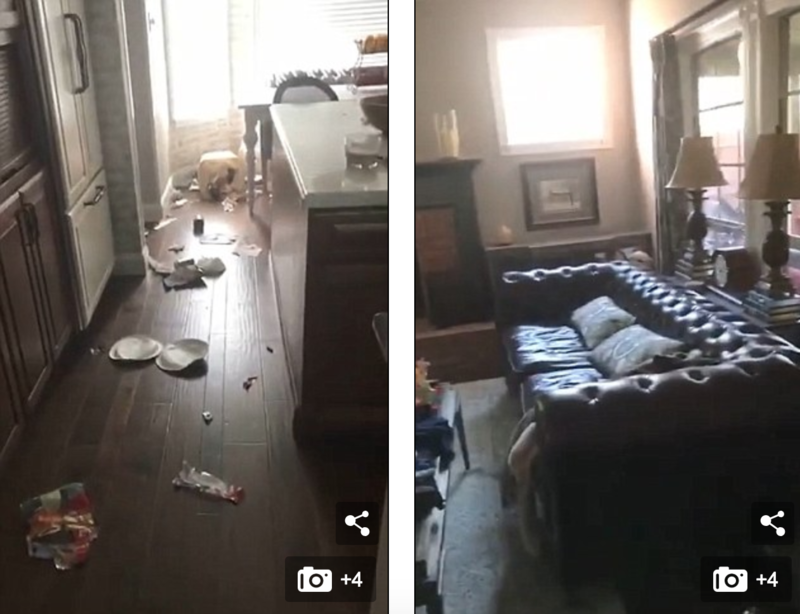 Armed with a cellphone camera, the dog’s master caught the aftermath of some doggy disobedience when he walked back into his house. Trash was strewn all over the kitchen and living room of the Texas home. Now that’s naughty – don’t throw food on the floor! Our boss treats us all like naughty children. No one has owned up to stealing the money. Two local students later owned up to the prank. A young nurse looked at the two men and waited for one of them to own up. Thousands of temples are strewn throughout the hills of Bali. And there was one obvious suspect seen hiding behind the leather sofa. ‘Ranger, did you get in the trash?’ asks the curious owner. The dog doesn’t make a sound but his silence speaks volumes. 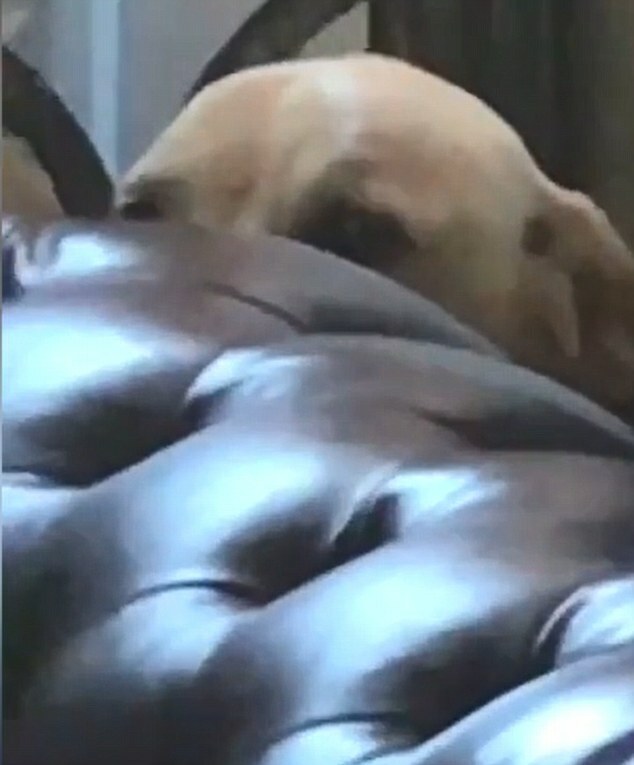 ‘My 85-pound yellow lab, Ranger, has a bad habit where he gets into the trash if you leave it out, but he definitely knows he shouldn’t,’ the owner wrote. Clearly, Ranger needs to be told once again! She said very little but her face spoke volumes. His silence on the issue speaks volumes. She feels left out because the other children don’t play with her. We decided to leave the chapter out of the book altogether. You left out the best parts of the story.